Northern Light Autoflowering from Green House Seeds, Seed Bank is an auto-flowering cannabis strain hybrid of marijuana NL x Green-o-Matic resulting in an automatic cannabis plant of high yield with a powerful Indica effect. During the growth of Northern Light Autoflowering we can see how it creates long inferior branches with a resistant vegetation structure of thick stems. It can grow up to 1.20 m if it’s grown directly in ground. 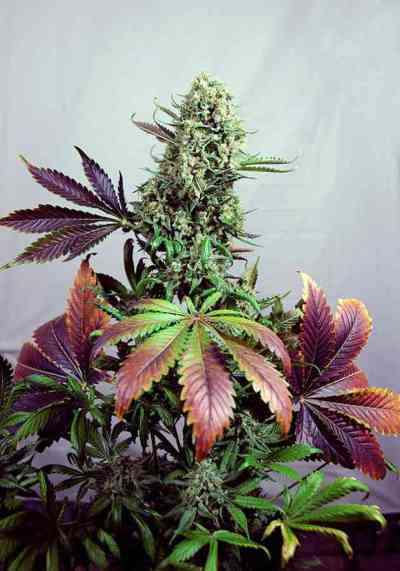 Its leaves are dark green, wide and small reminding to genetic Indica line which it is composed of. In flowering period we can see how in just nine weeks it creates long bunches of compact buds full of a thick layer of resin which has big trichomes with average THC levels. The smell and flavour are incensed with a clear hashish aftertaste. Green House Seeds comments that it is possible grow Northern Light Autoflowering under light periods of 18 or 12h obtaining in both cases results up to 800 g/m2 using 1000w HPS lights on indoor culture in just 10 weeks from germination. Outdoor it can be flowered any time of the year provided temperature stays above 10°C with a yield up to 150 gr per plant.